http://www.dsm5asdsurvey.org/ Your input is crucial! “The proposed criteria for Autism Spectrum Disorders in the American Psychiatric Association’s Diagnostic and Statistical Manual – 5th Edition (DSM-5) have created some controversy. The primary change is the combination of three current diagnoses, Autistic Disorder, Pervasive Developmental Disorder – Not Otherwise Specified, and Asperger’s Disorder into a single diagnosis with three levels of severity. Also, five studies (McPartland and Volkmar, 2012; Worley and Matson, 2012; Matson et al. 2012; Gibbs et al. 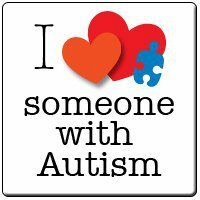 2012; and Taheri and Perry, 2012) have shown that a significant number of people who currently have a spectrum diagnosis would not be diagnosed as having ASD using the new criteria. 1) How will the new criteria affect services? 2) How will the new criteria affect insurance coverage? 3) How will the new criteria affect autism epidemiology regarding prevalence, which is already highly debated? 4) What will happen to those who no longer meet criteria for an autism spectrum diagnosis? 5) How will the new criteria impact adults?